One of our goals at Dahl Custom Homes is to share tips for your home that we know will ultimately create a better environment for you and your family. So, today we wanted to share with you an often overlooked home addition that can provide numerous benefits: ceiling fans. While their benefits aren’t the same as an air conditioner, they do provide their own set of valuable benefits. They don’t actually make a room cooler, like an air conditioner, but they do provide many other benefits! One study found that ceiling fans can decrease home energy costs anywhere from 30-40%. How? Well, even though ceiling fans don’t cool the actual air like an AC, they do create a draft that makes the air feel cooler so you don’t have to run the AC as frequently or can increase the temperature on the thermostat. But, not all ceiling fans are created equal, so you’ll want to do your research. Start this by ensuring the fan is Energy-Star rated. Ceiling fans can be used as a decor item just like a potted plant or lighting. We love this because it’s a win-win since you receive a functional benefit (your home is cooler) and an aesthetic benefit (add visual appeal to your home). Since there are so many options – textures, colors, styles and finishes – we’re certain you’ll find one that aligns perfectly with your design preferences. 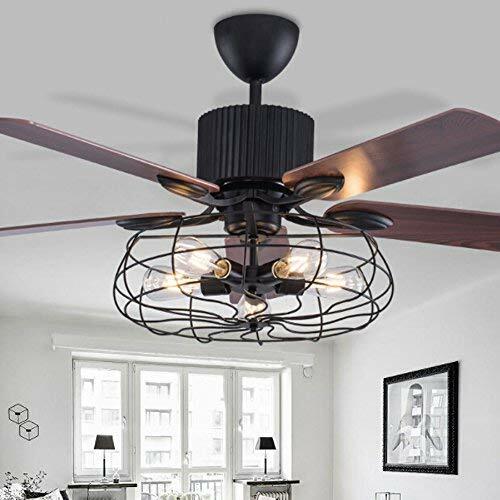 Tip: look at ceiling fans that have interchangeable blades, which will allow you to change the style of the fan without purchasing a brand new one! One thing that homeowners often forget about when it comes to ceiling fans is the benefits they provide in Fall and Winter months. If you run the blades in a clockwise direction, you will immediately create a warming effect in your home. This works by allowing the speed and direction of the blades to pull cool air up. The gentle movement then pushes warm air that naturally rises to the ceiling, down along the walls and back down to the floor. Again, this approach can cut heating costs substantially. When buying ceiling fans, just make sure that this option is available on the model you’re looking at. Besides saving on energy costs and added a design element to your home, you also can create excellent lighting with ceiling fans, which may eliminate the need to purchase additional lighting options in a room. You can select from a variety of light fixtures within fans, again ensuring that your design preferences are satisfied. When buying a fan, look into dimming and remote control options. 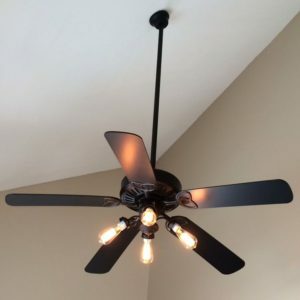 We hope this article has provided you with some helpful tips for integrating ceiling fans into your Iowa Corridor home! As always, we are here to help with any of your Marion, Cedar Rapids or Iowa City Corridor custom home needs. Please contact us if we can be of assistance.